Why did I name my blog as tearhere?.. I have the lamest answer for that. There's a TV Commercial before where they're a band and they don't know what to call themselves and one guy was eating a Chippy (It's like Cheetos) and saw the sign "tearhere" in the bag and TADA they have a name!.. and I find myself in the same situation when I first signed up here in blogger. I wish I have a better meaning to say but there isn't. 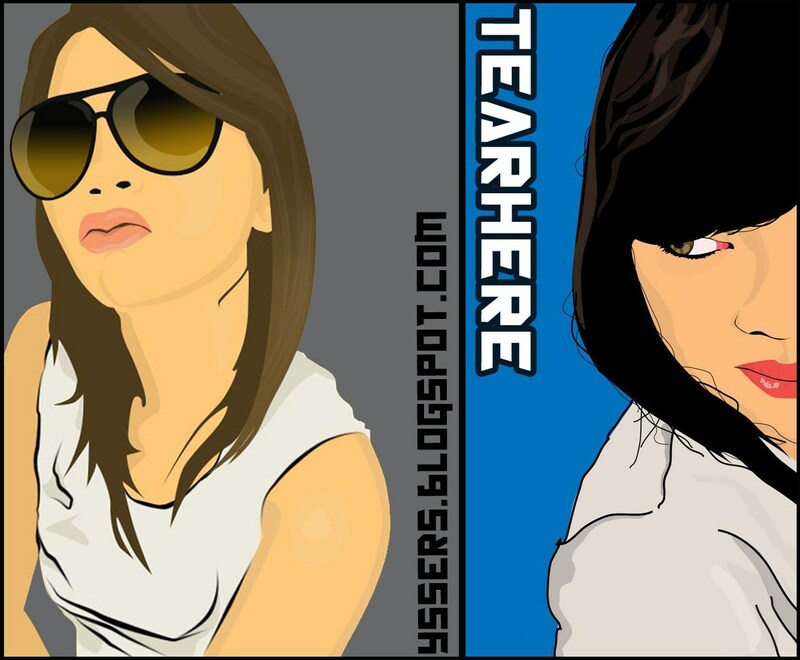 My brother vectorized my photos four years ago and I found it on my old site.. it's pretty neat huh?.. I have a talented brother ^_^ He did this when he's just starting to vector.